Fig. 2-4-1-3 shows the percentage of new inmates in 2012 by gender and age group. Fig. 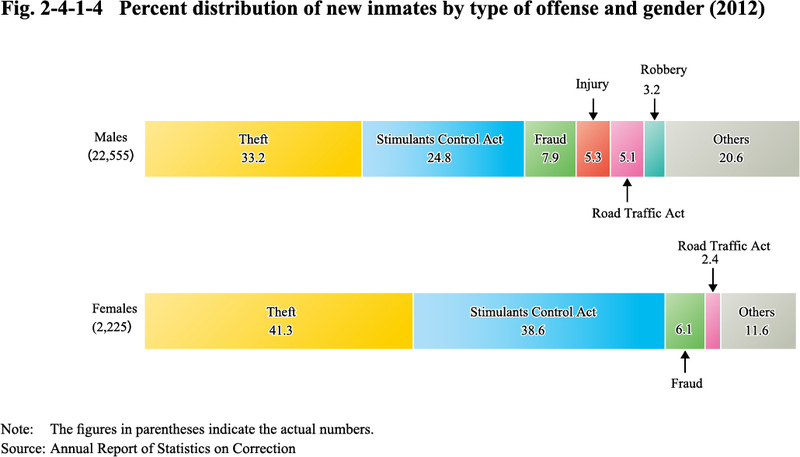 2-4-1-4 shows the percentage of new inmates in 2012 by type of offense and gender. (See Appendices 2-6). See Appendix 2-10 for the number of inmates sentenced to imprisonment as of the end of the respective year by the term of imprisonment.